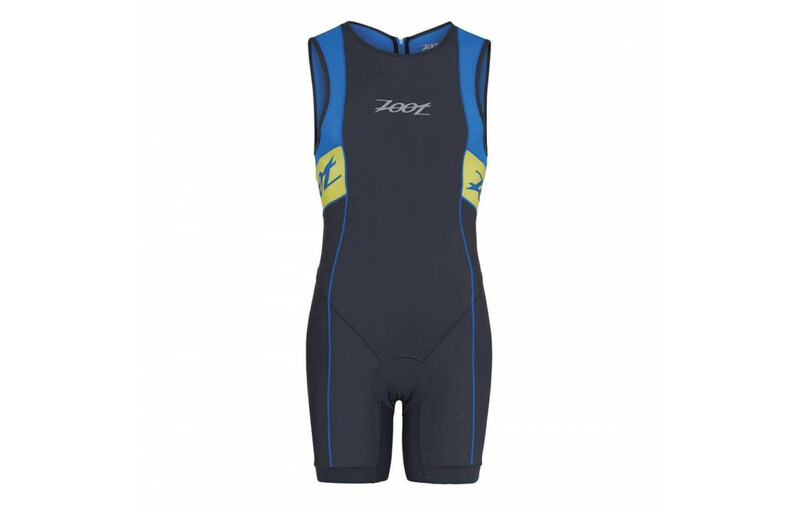 Zoot Performance Tri Racesuit - Buy or Not in Apr 2019? Zoot Sports is a Hawaiian-founded endurance sportswear company born in 1983. There’s a good reason for its birthplace, too. The Ironman World Championships take place in Kona, Hawaii, land of sun, beaches, pineapples, and perfect weather. The company’s mission has been to create triathlon-oriented apparel designed to make racing easier. Zoot designs functional pieces like race suits intended to work for the swim, bike, and run legs of triathlons. Versatile items, like the Performance Tri Racesuit, are simple and don’t require transition station changes. Triathlons already require you to think about so much gear. Goggles for the swim, a helmet and bike for cycling, and running shoes for the last leg of the race. Why not simplify things with a single garment you can wear for each activity? The Zoot Performance Tri Racesuit is a piece of gear designed for a triathlon. It’s available for men and women and offers racers a blend of comfort and performance. Race to the finish in this body-hugging suit. Be ready for your swim, bike, and run, and race your way to a PR looking like a million bucks. The sleek race suit doesn’t have any sleeves, so it’s designed for warmer weather. What’s a triathlon suit? Typically, dedicated runners don shorts and a t-shirt on hot summer days. Cyclists wear bike shorts with padded crotch areas to relieve pressure caused by their riding saddle. Swimmers wear wetsuits or swimsuits to glide through the water. A suit is a piece of triathlon-specific clothing that’s designed to be worth throughout the competition. Triathlon suits are either one or two-piece. The ideal tri suit is lightweight and well-ventilated. Unlike a wetsuit a tri suit isn’t buoyant, so it’s not designed to help you float and position yourself correctly for the swim. Wetsuits are a good idea for cold water swims or new swimmers who need a helping hand with technique. They’re also typically more expensive than triathlon suits. The fit of a triathlon suit is also less important than with a wetsuit. A tri suit with a snug fit is ideal for maximum drag reduction. Pick up this race suit in time for your next triathlon race. It features a form-fitting design that’s aerodynamic and reflective. The suit also offers sun protection in the form of a UPF 50+ coating. Perfect for sunny day racing. The suit has hip pockets that can be used to store fuel. The snug design of the pockets keeps your gels from falling out and prevents items from creating too much drag. The suit is offered in a men and women’s version and features a built-in sports bra. Quite a few reviewers noted that the bra doesn’t provide enough support for larger chested women. Many women wearers found it was necessary to double up and wear two bras. The triathlon race suit is designed with quick-dry technology so you can run out of the water onto your bike and not have to worry about spending your time wet while riding. Moisture dries in an instant, you’ll forget you were ever wet at all. A blend of nylon and spandex provides a nice stretch and allows for freedom of movement. Whether you’re doing swimming freestyle in the water, peddling hard on the bike, or pumping your arms and legs on the run, the suit won’t hinder your stroke, technique, or stride. The crotch area’s fleece chamois is also quick-drying and lightly padded to promote air flow. The lightweight suit won’t weigh you don’t and ventilates to keep you comfortable. The side body of the suit features Endure 3D panels which encourage breathability and help to cool off the body when it starts to heat up. Stay comfortable when the sun is beating down on you as you ride or as you work up a sweat running to the finish. Most reviewers said the suit provided a good fit and the majority of users characterized the race suit as comfortable. The Zoot Performance suit features a non-compression design, which means it doesn’t squeeze the body tight. It does offer support, though. The fit is tight without being restrictive. Movement is easy and natural thanks to the suit’s SeamLink design. The seams allow for a chafe-free fit. The suit is intended to provide a blend of comfort and performance so you can race hard without having to adjust and pull at what you’re wearing. No matter which leg of the race you’re on, you’ll be able to move in the Performance Racesuit. Teksheen BIOwrap hems prevent bulging and squeezing. They’re gentler on the body and are used instead of tight grippers. The suit is made from a combination of nylon and spandex. It also features a chamois made of moisture wicking materials. The crotch padding offers adequate protection without adding unnecessary bulk. The design is intended to prevent chafing. Some reviewers felt the padding was a little minimal and not adequate for longer efforts on the bike. There’s a reason for this, though. If the padding is too thick, it’ll feel weird upon exiting the swim area. Imagine wearing a wet diaper? A bulky chamois won’t dry as quickly as a thinner one. Other reviewers complained that the zipper caused chafing. The reason? There’s no interior flap to protect against rubbing. Some female wearers noted that wearing a sports bra underneath was necessary because the built-in bra lacked support. Doubling up wasn’t ideal, however, since wearing two bras is likely to produce chafing. It defeats the purpose of the chafe-free design elements present in the suit. Another complaint from reviewers was that many found it tough to wiggle into the suit. Why? The attached bra got in the way. Reviewers had no complaints about the fit of the arms or legs. Users said that the legs fit snugly and didn’t ride up. You should choose a tri suit that feels comfortable for each sport since it’s meant to be worn for each leg of a triathlon race. At 228 grams the Zoot Performance Tri Racesuit is lightweight and unlikely to produce excess drag in the water or on the bike. According to reviewers, the sizing of the suit was accurate. The fit is snug, but not compressive, and no part of the suit is too tight. The leg openings feature Teksheen BIOwrap hems, so there’s no risk of feeling like your thighs are sausages stuffed in a casing. Overall, reviewers agreed that the suit is a quality piece of gear. A teensy complaint that did come up, however, was that the design accents were prone to peeling. It’s not a structural issue, though. The seams are sturdy, and the fabric is durable, so don’t worry about having to buy another race suit anytime soon. The Zoot Performance Tri Racesuit is not compatible with any accessories. Zoot does, however, sell a number of other triathlon-related products that may be used in conjunction with the suit on race day or during training. Please note that the women’s version of the suit features a built-in bra. It is attached, however, and cannot be removed and worn separately. Reviewers weren’t impressed with the attached bra and felt it didn’t offer enough support, especially for the run portion of a triathlon. Reviewers really liked the look of this suit. The design is simple, mostly black with some neon pink or green accents depending on the variation you choose. The body-hugging fit contributes to a sleek look for this sleeveless race suit. The Tri suit is an older design, so it has since been discounted. Even at its original price, the Zoot Sports product is an affordable piece of triathlon gear. The Performance suit is a good quality option for warm water and summer racing. The lightweight design is the perfect gear choice for setting that PR on race day. Reduce drag and maximize comfort in this sleek suit. The chamois padding is a little light, so it’s probably not a top choice for long-distance efforts. Its thinner design, though, makes it quick-drying so you won’t spend your ride with a soaking wet crotch area. The body-hugging suit is the ideal choice for your next race. Stow away your gels in the handy side pockets for an energy-boost later in the day and feel free to move any which way thanks to the suit’s blend of stretchy, breathable materials. You won’t need to pack extra clothes to change into at your transition station, so you’ll save valuable time switching from swim to bike. You definitely don’t need a triathlon suit to complete a triathlon successfully, but it’s an extremely useful piece of gear that makes life - and racing - easier.